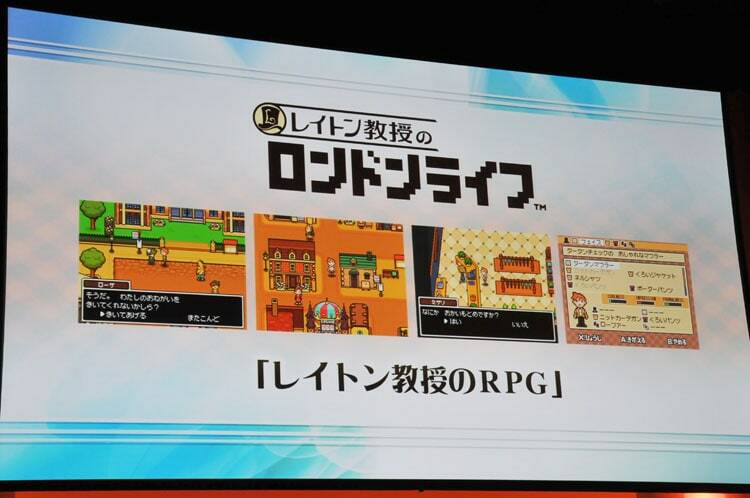 Last year there were a bunch of games announced that looked like EarthBound and MOTHER 3 in various ways. It was easy to mix up which was which, so I thought I’d make things a little more clear here. I’ve also provided a few new screenshots whenever possible. Obviously, these games aren’t related to EarthBound or the MOTHER games except for the artwork. But since people send news about them regularly I thought I should cover them briefly again. 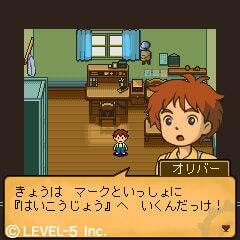 The Another World (Ni no Kuni) is being released on the Nintendo DS, but a sidestory version or something is being released on the Japan-only ROID platform too. 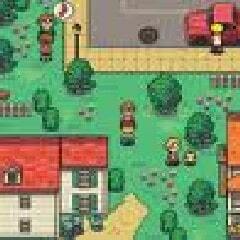 This ROID version is the game that looked a lot like EarthBound that got everyone talking last year. 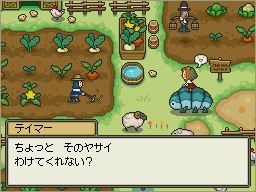 As far as I know, this is still going to be a Japan-only game, playable on cell phones, possibly also on computers via a special service. Here are some new screenshots I dug up. The first screenshot looks ugly because I couldn’t find a full-size version; I could only find a small thumbnail so I resized it. It looks pretty cool though. I’m not even sure if the game has been released yet. I checked the ROID site and I didn’t see it anywhere. Hopefully we’ll have more info and media at some point. 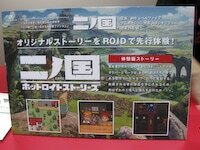 This RPG was originally announced for the ROID system too, but they later announced that it would also be an unlockable in the newest Professor Layton game. 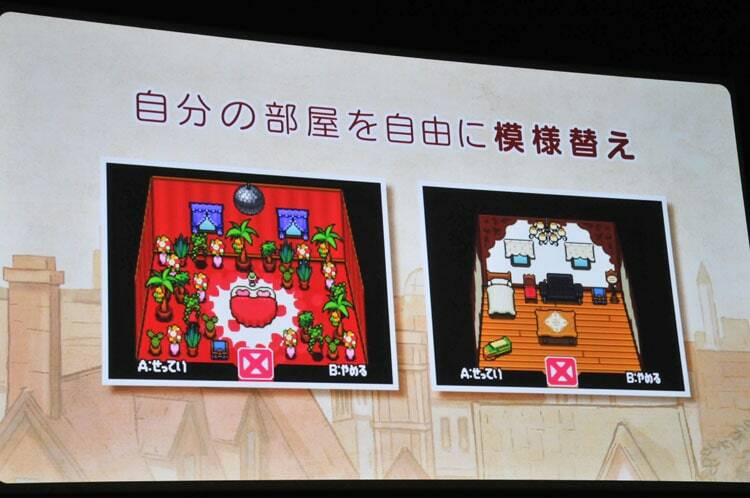 Meaning this is something people outside of Japan might get to play at some point. Apparently Nobuo Uematsu is doing the music too. 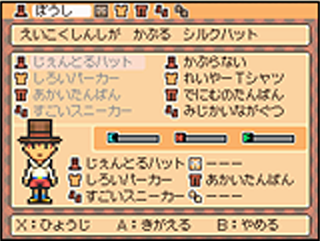 This is a DSiWare game in Japan made by Brownie Brown. 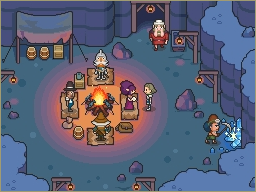 It has a lot of MOTHER 3 cameos in it, so far Ocho, a Pigmask helmet, and those underwater oxygen machines have been spotted in screenshots/videos. What else is there? Great list! 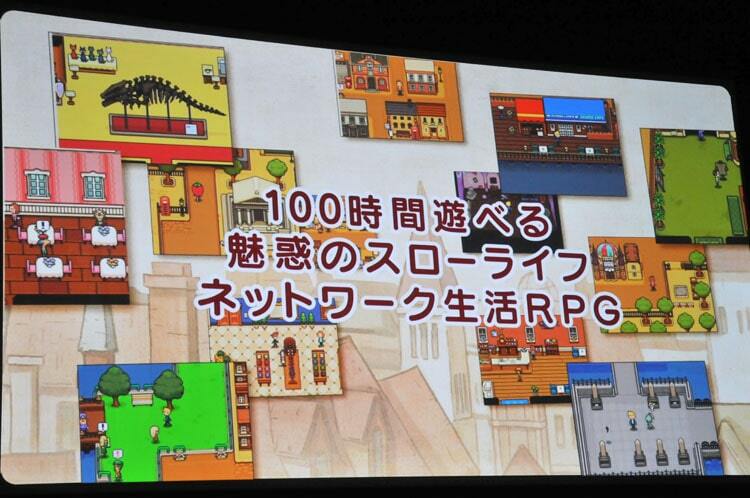 Fantasy life looks good. I want to play them all. They look too good. 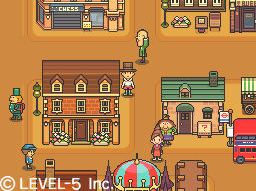 Fantasy Life and London life were also made by Brownie Brown, in cooperation with Level 5. 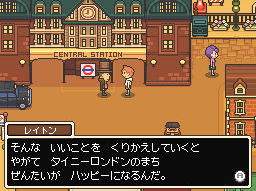 Brick Road in Professor Layton? 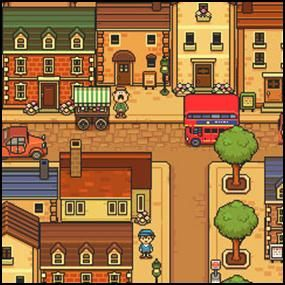 I hope The Another World: Hotroit Stories Isin’t Japan only I really want a game like Earthbound (Looks or game play fine with me. 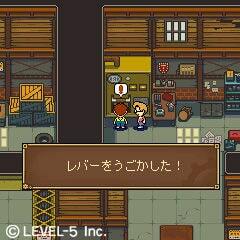 *Update* (Srry) If The Another World: Hotroit Stories is japan only someone should translate it like mother 3! Are you sure the last one in the fantasy life category doesn’t belong in london life? 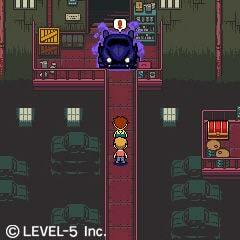 The Another World: Hotroit Stories must be a joke… It’s the most Earthbound-ish thing I’ve never seen. 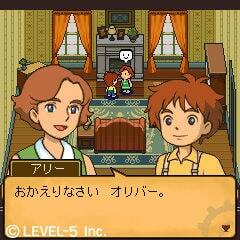 I really don’t care about Hotroit Stories, I want Ninokuni/Another World for the DS in english. Studio Ghibli yay. 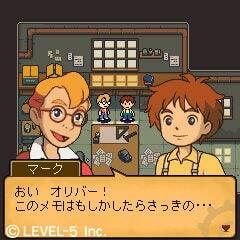 Kappa road, I can under stand, since they were the same company, but it’s almost like the other games inspired the creators. 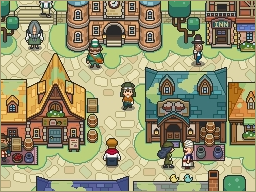 Wow, Fantasy Life looks remarkably a lot like Mother 3. 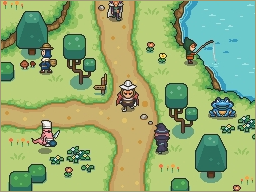 I wonder if they really would consider a Mother 4, but that’d be up to Itoi, and I think he’s done everything he wanted to do (well, unless he wants to remake the games at some point). have you hear of homestuck is said to be influenced by earthbound,haveing checked out this site i seen tons of simmilarites.its made me want play the games too. 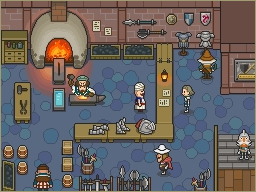 Uematsu’s doing the music for fantasy life? I’ll have to hceck the msuic out sometime, since I”m a fan of Uematsu’s work.